air joe is proud to serve the Itasca community! We are proud to be a part of this community, serving your heating and air conditioning needs: air joe is listed in many directories under titles such as : Itasca Heating Contractors, Itasca Heating, Itasca Air Conditioning, Heating Repair, Air Conditioning Repair, Itasca Heating and Cooling Contractors, Rooftop HVAC Repair, Ductless AC Systems, Boiler Repair and Itasca Heating and Air Conditioning Contractors. We are here for you whether you need furnace or air conditioner repairs, heating and cooling estimates, equipment replacement or new installation of a furnace, air conditioner, heat pump, rooftop heating and cooling or comfort products to improve the air filtration for your home or business. 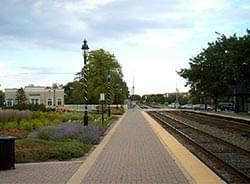 Itasca is an Illinois village located in DuPage County, and as of 2010, the population was nearly 9,000. Business Week magazine has recently ranked this village as one of the best suburbs in Illinois in terms of affordability. Several companies use this village as their headquarters, including Midas and Arthur J. Gallagher & Co., and these organizations serve as major area employers. Itasca is found within a humid continental climate zone that experiences four seasons. Autumn and spring are mild, while summers are hot and humid. Winter months are typically snowy and feature cold temperatures. Itasca is home to a variety of attractions that may appeal to area visitors and residents. This village is a great destination for golf lovers, as the Eaglewood Golf Course and Itasca Country Club are both located here. People who are looking to learn more about the sport may wish to schedule a session at the Golf Learning Center at Hamilton Lakes. For those that would prefer to take a day for rest and relaxation, the Eaglewood Resort and Spa is a prime spot.